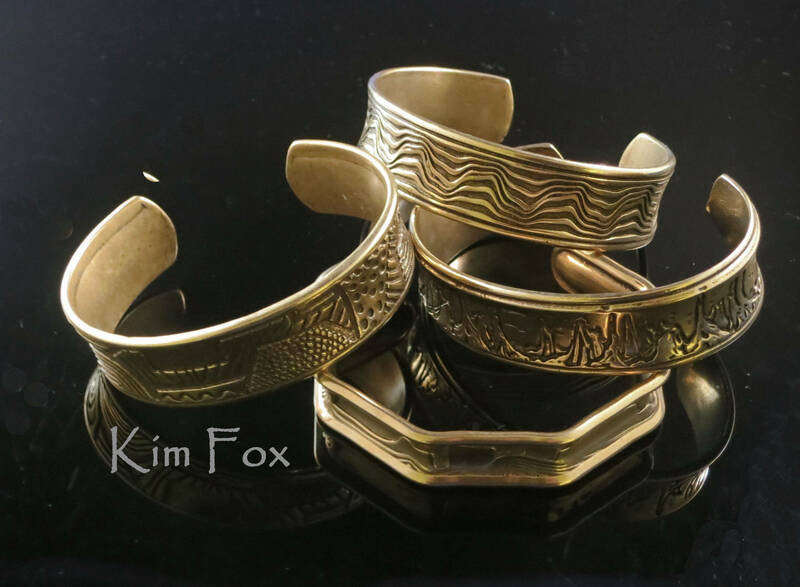 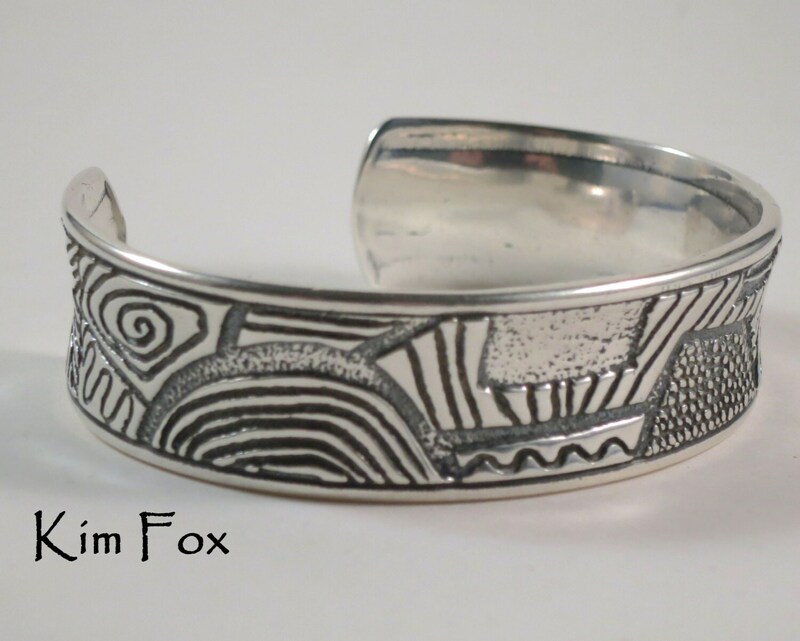 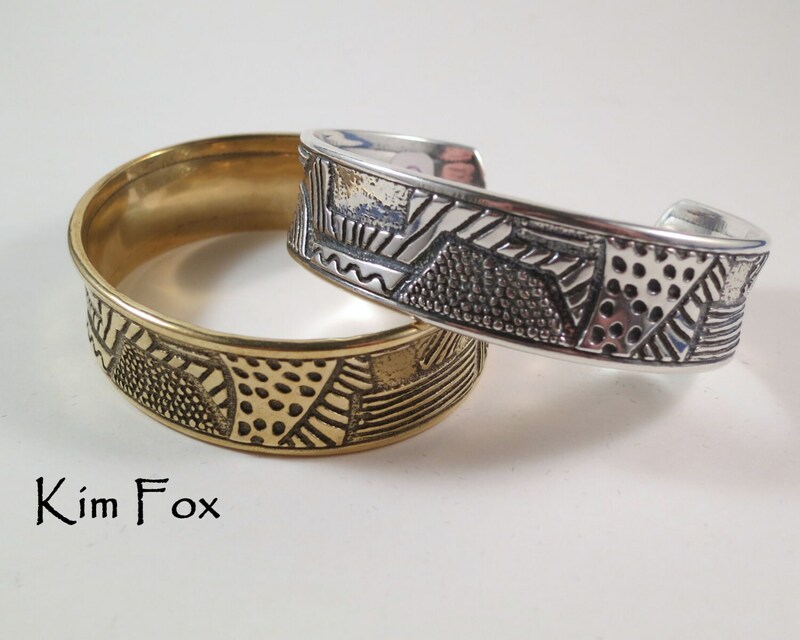 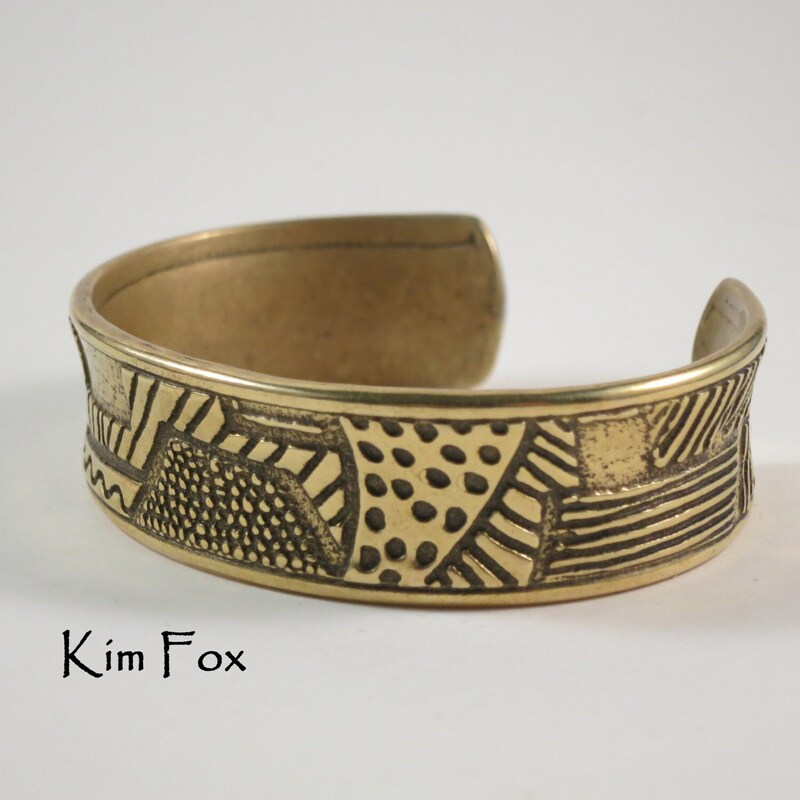 I love to doodle and I took some of my doodles or zentangles and made them into the all over etched pattern on this extremely comfortable cuff. 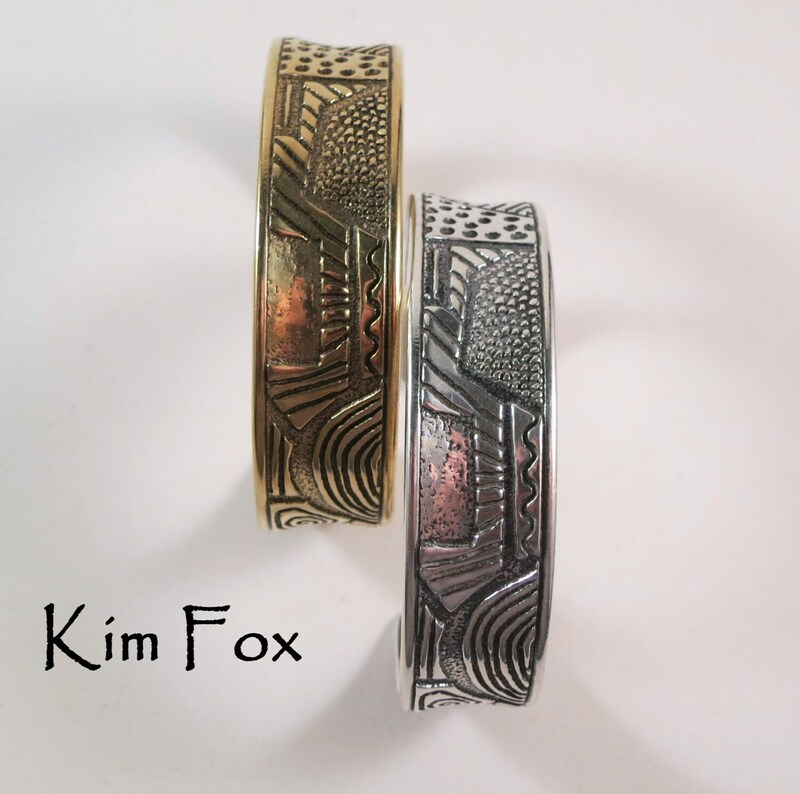 The cuff is available in sterling silver or in golden bronze. 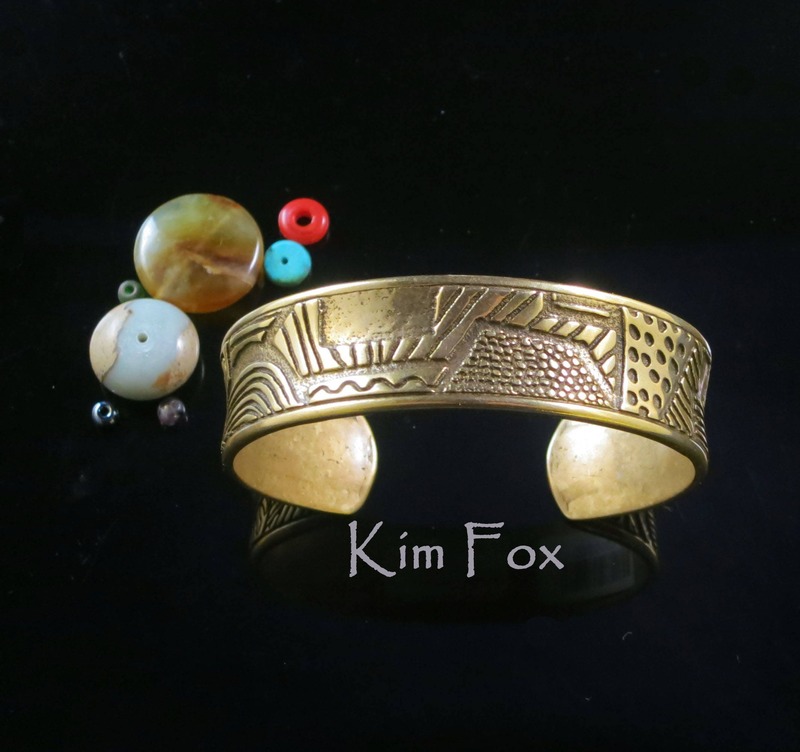 Only a polishing cloth is necessary if you wish to clean this piece of jewelry.